On Media Content, Culture, Tech , Entrepreneurship, and me. I have never been on a plane. Nor a boat. Nor inside any hovering craft for that matter. But I know, someday ( soon) I will. So, like every optimistic first time airplane customer, I may have fiddled with the mental image of my first ever plane ride. And I have come to one simple conclusion: if I were put to choose between Virgin Atlantic, seed of the awesome knight and Ethiopian airlines, now 70 years old, I’d pick ET. How do you make your purchase decisions? The device you are using to read this, how did you get it? I mean…why did you get that one and not the other? I am assuming here that you had a choice. If, like me, your mother bought for you, well, don’t worry, you’ll get my point soon enough. Why do we pick one item over another? One brand over another? I had been thinking about this for a while. I still do every so often. However, I came to a conclusion last Friday. 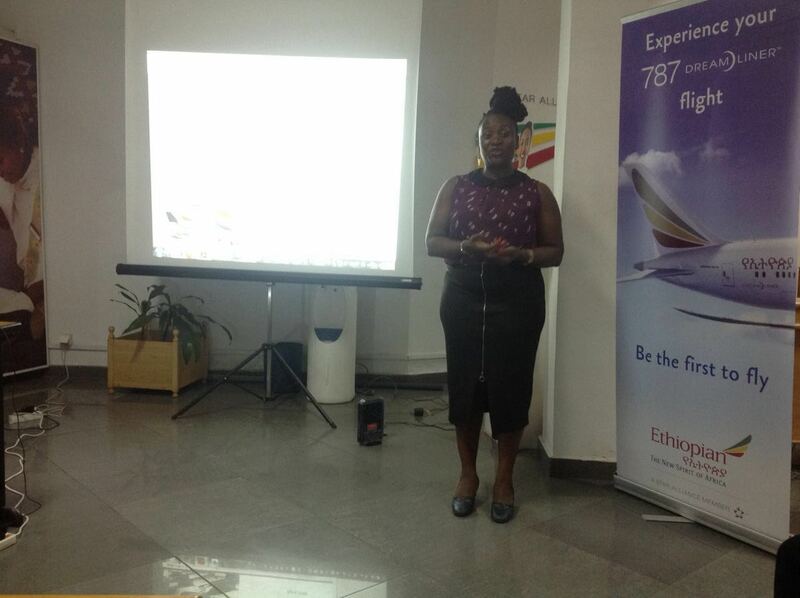 This was during the #cmrbloggershangout organised by Ethiopian Airlines. The hangoutcoincided with the celebration of 70 years of existence of the African airspace behemoth. We often think we make “informed decisions”, that we are not moved by advertising or peer pressure or that ( I love this one) : I feel like the brand really cares. That is why I bought this particular toothpaste. “People make instant decisions with their sub-conscious. When they have to explain the choice, the choice might change all together since the rational mind is then involved”-ConversionXL.com. In that same post, it is pointed out that not only are our choices made from mixed sources, but they are very- and this is important for me- very peer influenced. Which is the backbone of my very personal argument. And it won’t be the last. But it is not everyday that you get to visit the Douala headquarters of an airline and sit with the country manager – Mr. Tsefaye as well as with a high-placed administrative assistant- Mrs Marie Andela. This, and the super chill atmosphere that seeps whenever I meet my fellow Cameroonian bloggers. That is the look I have when my laptop battery is running down and I can’t disrupt the presentation to plug it in. It was pure coincidence( at least, that is what I was told) that our hangout happened to be set on the same day the company was celebrating 70 years. No, We had no cake. But we did have a meal later on. But don’t think that is why I would choose ET. Food? Really? Nah, I am not that cheap. Aside from the intimidation celebration of an airline business running successfully for over 7 decades, we had a full presentation on the past, present and future of Ethiopian Airlines. Enough to make me realize that these guys would never be satisfied. Not in a greedy way. I mean in a business way. They dubbed this- vision 2025. In August 2012, the first Dreamliner was delivered to the company. From 1946 to 2016, they have never stopped getting better equipment, winning awards, expanding their market and creating equal opportunities for all their employees. Both male and female. The latter which is most visible in the very acclaimed All Women Functioned Flight ( November 19th, 2016) for which its group CEO- Tewolde Gebre Mariam- was awarded a month later, the most gender focused CEO Award by the LWA- Leading Women of Africa. Only last month, ET was chosen by the National Association of Nigerian Travel Agents (NANTA) as the Best Airline in Nigeria. I would love to think that these awards and accomplishment guided my “informed” choice. That it was because of this constant desire to be better that I would want my first ever take off to be with a gender balanced airline. You see, awards don’t move me. Neither does Beauty. The straw(s) that broke Kamga’s airline decision back. During the question and answer session, a lot was covered about the history of ET, the new programmes, the mileage and discounts- especially discounts! Purchasing Ethiopian Airline tickets ONLINE = 7% off ALL ONLINE TICKET PURCHASE. Of course this may affect retailers and other “hard copy dudes”, but, not only is the system secure, were we assured, but- the world is online. We have to use the new platforms to our advantage. Add this to their loyalty programme and what you get is the loyal customer cocktail. I was interested in the women. I love women. I love my mother…who is a woman…my sisters are women…I love them…you…get my drift? What was the effect of the all female flight? Obvious question for an obvious answer. I did not expect anything other than large scale positive reviews given the wave of gender awareness that is sweeping through the world. But by jove! The passion with which Aunty Adeline- Publisher of Fabafriq and master mind behind the first ever #Camerbloggershangout– answered, I was sold. She was on the flight. Her eyes glowed as she described the atmosphere on landing, how everyone was trying to take pictures and what it meant to her as a woman and as a business person. Aunty Adeline gave the welcome address and later on shared her personal tale as one whose job has her in the air most of the time. Previously, she had talked about the experience she’d had with Air France. Her flight was delayed and she’d been asked wait , for hours, in the cold, in the airport and not allowed to get to a hotel to wait for the next flight!! She did a rant on Facebook. Trust me, you (as a company or individual) don’t want Aunty Adel to rant because of poor service. Remember my MTN Cameroon Rant? Triple that and you get the scale of her rant. That was not the only rant I have seen recently on Air France another airline. Tie breaker with no ties. Now, Adeline’s job requires that she travels a lot. Same for my buddy Cedric. From what they said about ET and their personal experiences with other airlines, I can, without a doubt, choose ET over any airline in a heartbeat. Three known professionals publicly backing Ethiopian Airlines’ claims for work ethic and customer satisfaction. ET being the first sponsor of the first ever #Camerbloggershangout-expresses creativity and a love for innovation. 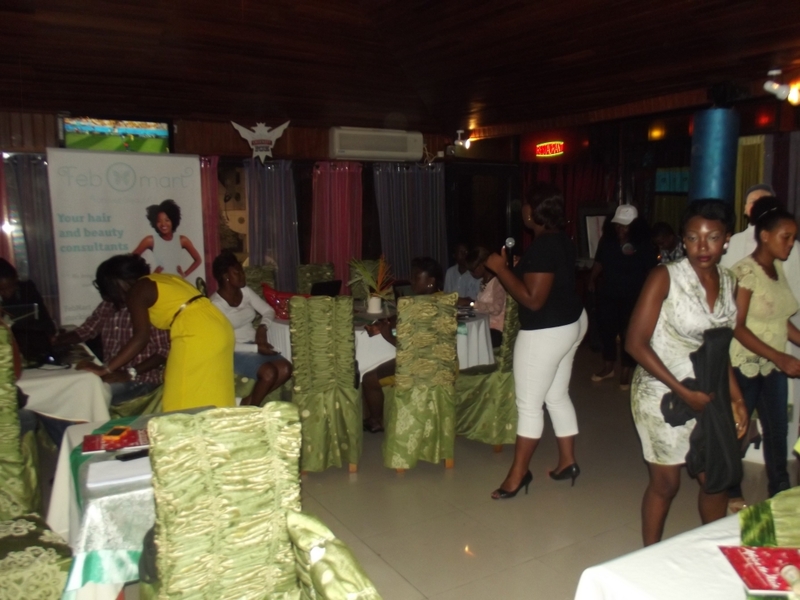 A sumptuous meal for bloggers in the much coveted White House Restaurant in Bonapriso. Now, you know why I will pick ET over VG. P.S: Now that you know what I did last Friday, can I get your opinion on Ethiopian Airlines? Do you think I am making a wrong decision? How do you make your own decisions? Friends ( like me)? Advertising? Or a mix? Be sure to leave a comment and share this post if you liked it. Thank you for your time! 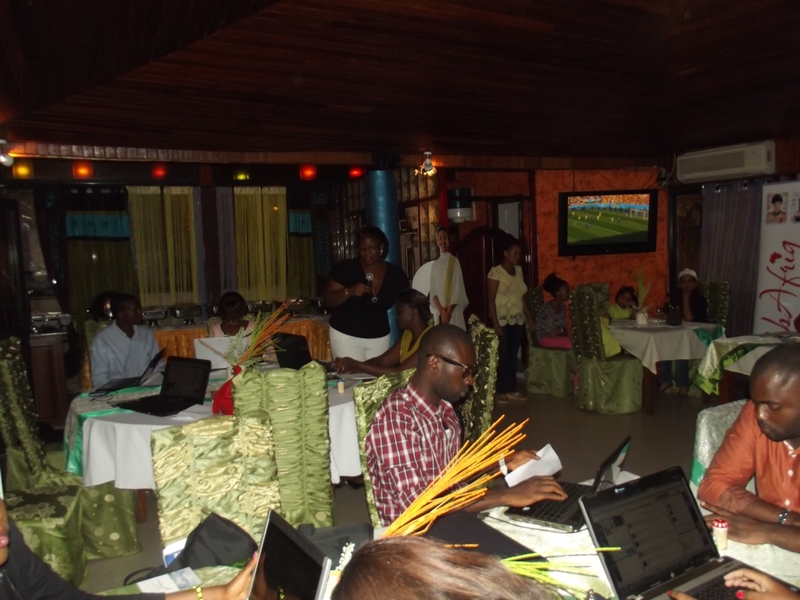 #cmrbloggershangout: Hugues’s (Late) Account of Encounters. 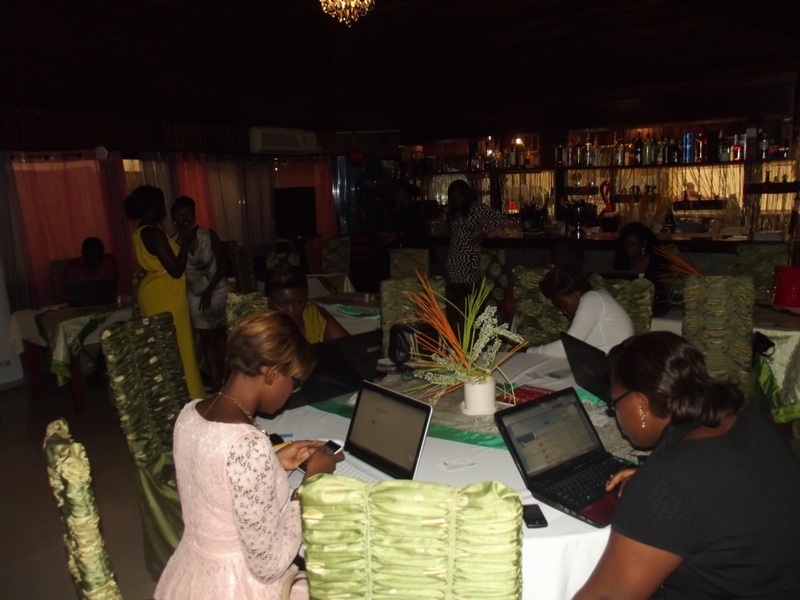 On Saturday 14 June, 2014, Fabafriq Magazine organized a bloggers meet up, dubbed #cmrbloggershangout in Douala. 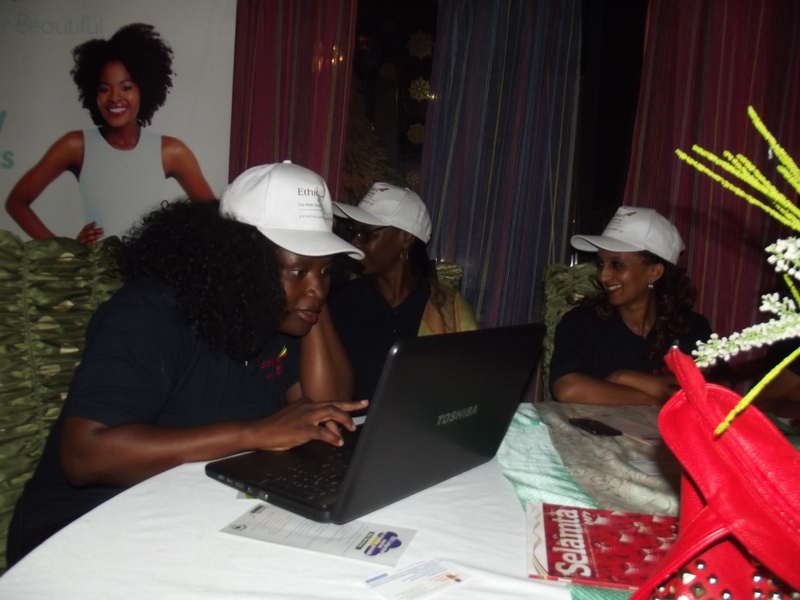 This event, proudly sponsored by Ethiopian Airlines, took place in the Bonapriso neighborhood at White House Restaurant. 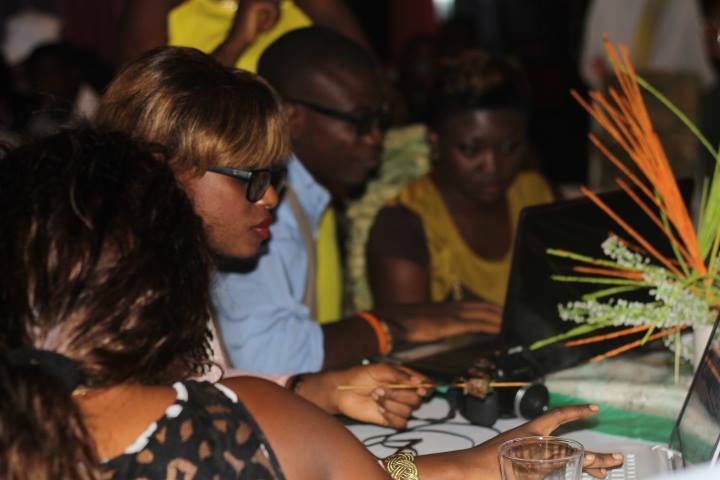 Participants included: amateurs and professionals from various media related fields and from across the nation. From movie actors to graphic designers, event planners to software entrepreneurs…they all had one goal- expatiate on the role of the Cameroonian blogger in the current media ecosystem. The 20 or so participants were quick to get interactive and spread the word online. The hash tag soon got noticed on social media and ‘virtual’ participants, the likes of Bakwa Magazine Editor ( Dzekashu Macviban) and Fashion blogger-Muke Alison, soon joined the party. The turn out was more than anticipated, because the organizers had very little time to rally the participants. As soon as they arrived, the first group immediately (clearly through force of habit,) hooked up their Wi-Fi enabled devices to the internet provided by one of the sponsors-CAMTEL. The event was scheduled to last about five (5) hours with presentations from ‘gurus’ such as writer and youth advocate -Monique Kwachou , ‘culture engineer’ –William Takor , Clifford Ako Mbianyior of WASAMUNDI , together with representatives from Ethiopian Airlines. 3. A forum to let investors realize that bloggers and online reporters are the future of advertising. Mrs. Irene Azong-Wara, director at www.feb-mart.com, served as our emcee. The online coverage was boosted by TipTopStars representative JJ Nshom. We started with self-introductions and Miss Kwachou went on to clarify the non-bloggers in the room as to what a ‘blog’ was all about. 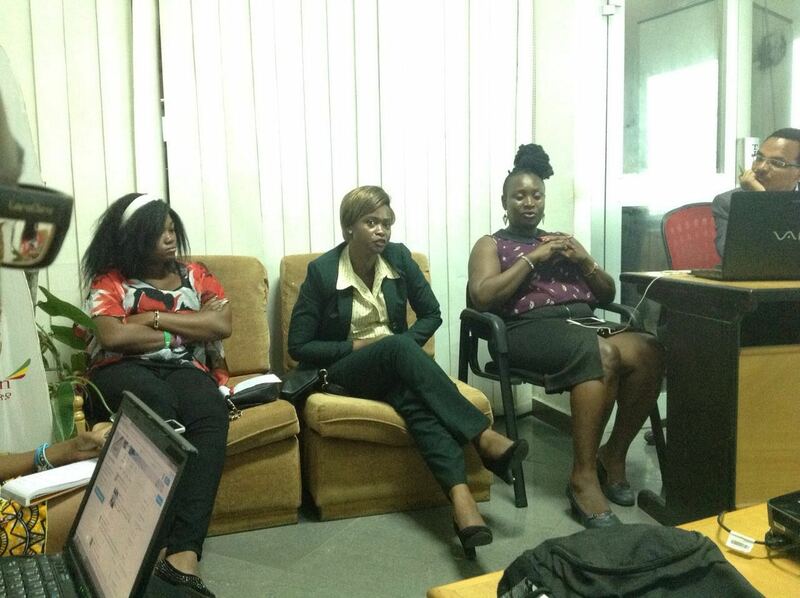 Her post provides a definition and description of a blog and the existing Cameroonian blogosphere. Monique Kwachou expatiates on blogging. The early adopters like Dibussi Tande could never be over mentioned as leaders in the Cameroonian blog movement. As well as upcoming scribblers such as Yefon Mainsah of IRepCamer and a host of others (Dulce Camer, Find Palaver Woman, Mookeh, Writerphilic, Africally Speaking etc.) all listed in Monique’s blog post. Throughout the presentations, questions flew from one end of the room to the other. So did answers. Everyone in the room, late comers inclusive, had either something to share or something to find out. 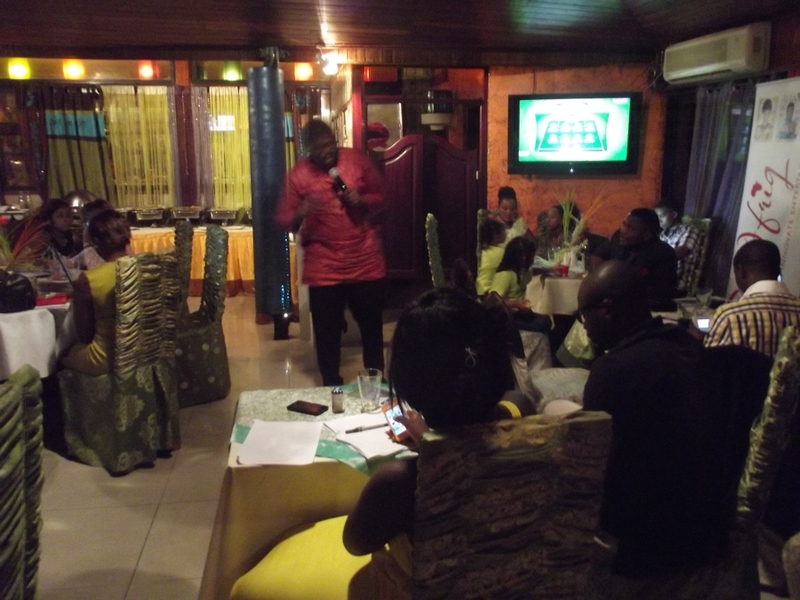 As the evening unraveled , we had William Takor who gave a ‘brief’ but instructive discourse on what it takes to get content viewed .With reminisces from the baby steps of boy wonder @StanleyEnow as an emcee to the drive needed to push your content, his infusion of Pidgin English and wit got the essence across. 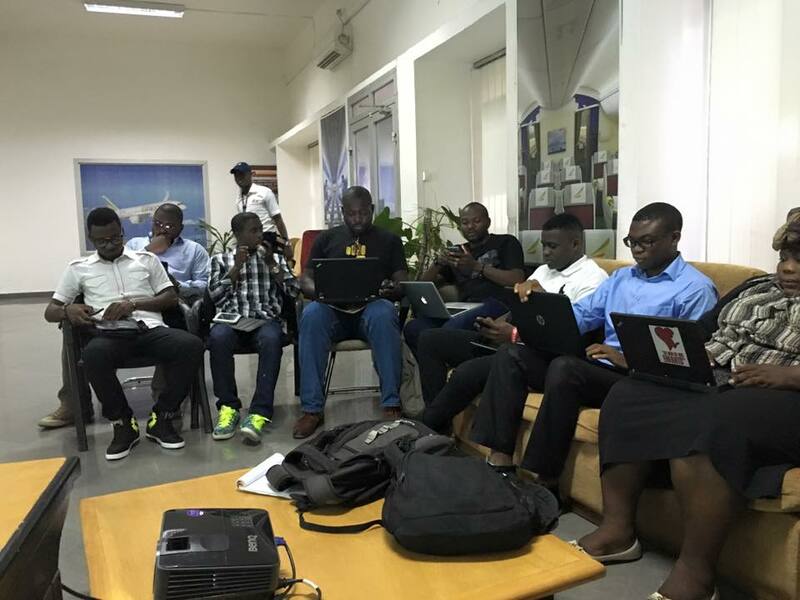 William Takor aka ‘The Mountain’ discusses on how to push content. Also, the charming Elodie made the audience rethink its stance on the true potential of tourism and blogs on the topic in Cameroon. In her popular blog, she writes (among other things) about locations she has visited, reviews, suggestions and tips of where to find what. Mr. Clifford equally made clear to us that the urban guide had come to stay. And that, when it came to the internet and its possibilities, we had not yet started seeing the potential it held for businesses and the economy as a whole. After the exciting (and some on the fly) presentations, we all delved into the crux of the reason why we all came to Douala- drumroll please………………….item 11!!!! Interspersed was the Press Release by the management of Ethiopian Airlines together with descriptions of their interesting packages for flights and/or other events. The sales representative – Mrs Ngahane Desiree and the Chairperson of the Cameroon Chapter- were eager to answer our questions and extol the discounts, facilities and improvements in the overall management, products and services of the prestigious Ethiopian Airlines. a) The visa to Ethiopia is 50% less than that to any other African country. b) This is the lowest international visa cost (25USD). d) Ethiopian Airlines is the largest and fastest growing aviation company in Africa. 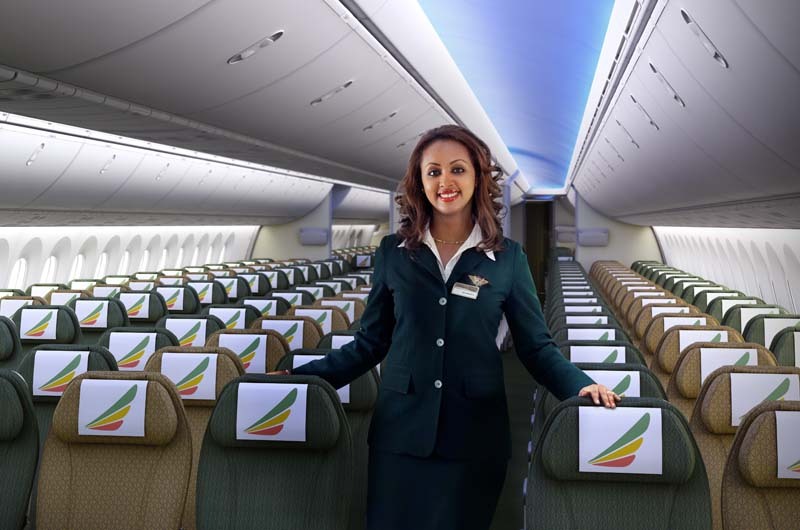 Worthy of note is the fact that one lucky blogger will earn a trip to and fro Singapore-the entire trip taken care of by Ethiopian Airlines! The lucky winner will be known on the 29th of June. This goes a long way to not only show the trust the sponsors have in the organizers but in the bloggers too as future partners. The evening ended with group picture sessions and parting in anticipation of the next #cmrbloggershangout already scheduled for August 17th and an upcoming tweetchat. Ms .Adeline Sede-Kamga-this lady warrior a.k.a ‘the connector’ behind the movement is relentless and her drive, addictive. The blogosphere has a new voice and it is serious. Her cry (and that of all the participants) is that more-if not all online reporters of sorts- will join the movement. 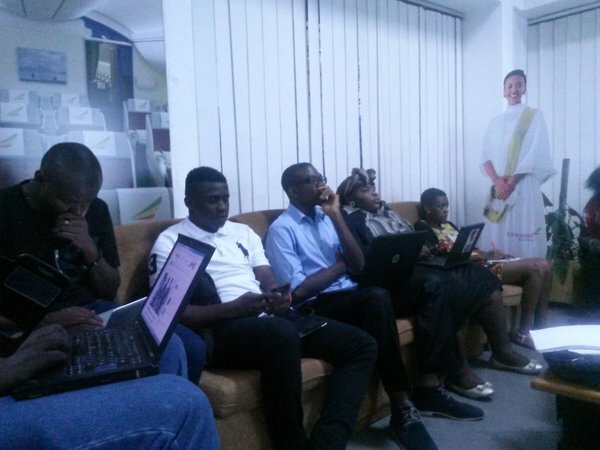 Cameroonian bloggers “Are the future and we are writing that future now”. What about you? What are you writing? I’d be glad to know about it in your comments below. Thanks for taking the time to read. Kamga is going to Singapore. You? I’ve never been in an airplane. Don’t laugh at me. But listening to these awesome packages make me believe I can fly …not the R. Kelly type though. We are at Bonapriso right now with a lot of cool guys. 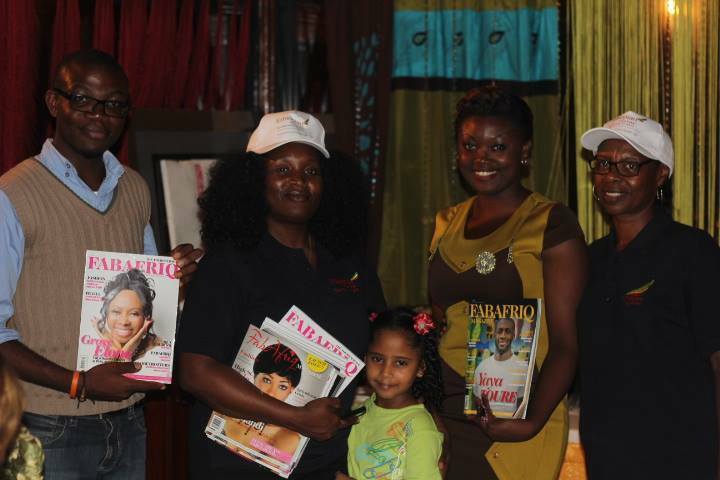 I met the founder and publisher of FabAfrique Magazine- Mrs Adeline Sede K. Guess what the “K”. stands for? Yep…you almost got it…Kamga. 😀 Together with Ethiopian airlines , a host of bloggers,actors,designers, writers, media sympathizers. From the Press Release attached, you can truly see what Ethiopian Airlines is offering. I talked with Mrs Ngahane Desiree , a sales representative and from what I gathered, the management is now open to all nationals. It used to be tight. If they are getting this flexible and sponsoring such events, I suppose we are at the brink of innovation. If you go here you could find out more about the Cameroonian branch. The Most Beautiful Human I Ever Met. Let it be that I told you my truth.